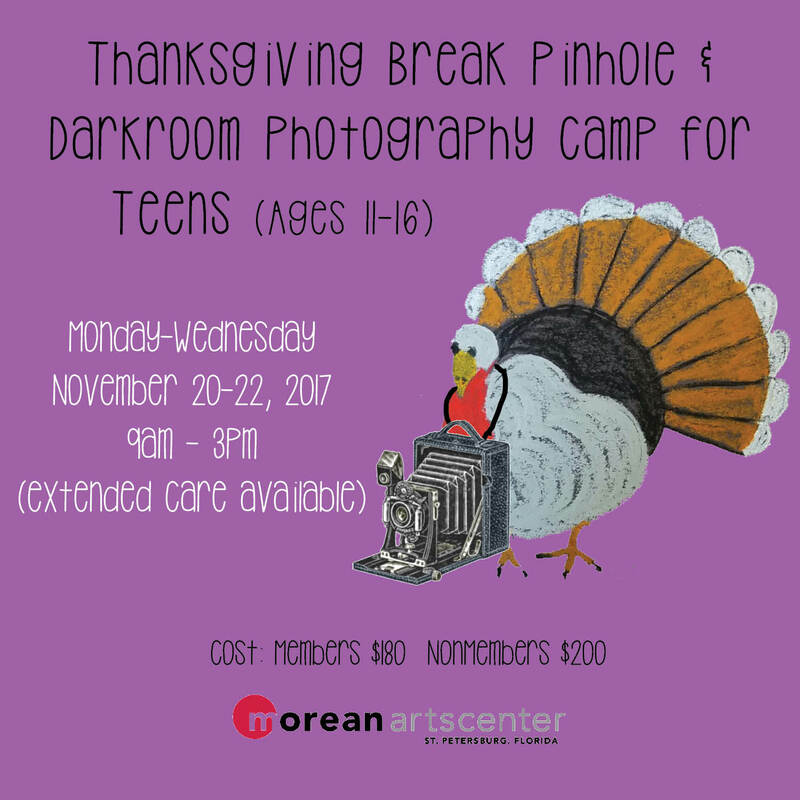 Join us for a 3-day Thanksgiving Break Pinhole and Darkroom Photography Camp for Ages 11-16. Instructor Lance Rothstein. Morean Arts Center. 719 Central Ave, St Pete 33701.